I have been postponding this particular post , part owing to my laziness and part owing to personal setbacks . Better late than never , i suppose . And now as i embark on this super delightful yet arduous procedure to return the acknowledgements of Nine wonderful bloggers , i feel honoured ! I guess every blogger is aware of the rules associated with receiving a leibster award . Due to the bulkiness of the post i am not delving into the details . Let me jump onto the procedure proper . 1 . I am an MBBS graduate , currently on a short sabbatical , as i am awaiting my p.g entrance exam results . 3 . I am trained in Bharatnatyam , something which i am proud of , yet left to rust in the dettol scented corridors of my professional life. 4 . I hate prejudice and pretence the most in a human . 5 . I am a piscean , and my strong hunch is that the piscean section on Linda Goodman’s book on Sunsigns was written based on my life . Be it a positive trait , be it a negative trait , I am a perfect living illustration . 6 . I am a movie buff and i am an ardent admirer of malayalam movies in addition to the good hollywood ones . Mohanlal remains my all time favourite actor and from Hollywood it would be Johnny Depp and of lately i am inclined to Christian Bale to some extent . ‘ Manichithrathazhu ‘ is my favourite malayalam movie and ‘ American Beauty ‘ , favourite Hollywood pick . 7 . I sleep plugging my earphones on , a habit which has been under harsh criticism from my mother for its probable side effects. I feel myself lost in the music of Ouseppachan , A.R. Rahman , Yuvan Shankar Raja and Vishal Shekhar . Metallica is my favourite music band . I can listen to ‘ The Unforgiven ‘ in loops for a whole 24 hrs . 8 . Weird as it might sound , i shed tears ( not those big scary ones ) when i get nostalgic . I never brood for hours over the past events , but i dont forget them either . 9 . My bucket list includes – sky diving ( like everybody else ) , trekking the Himalayas , staying for atleast a couple of days in Manhattan ( that much is my extent of addiction to F.R.I.E.N.D.S ) , and to write a best selling , critically acclaimed novel one day . 10 . I ignore people who hurt me like they never even existed , until they apologise for their act . 11 . After wrapping up my education , i would love to spend some time in the tribal areas as part of Medical Camps or awareness programmes . I would love to be associated with an N.G.O which supports ailing kids once i become an accomplished doctor . 1 . The last book you have read ? – Carry The One by Carol Anshaw . 2. Movie you can watch over and over ? Sandesham , a malayalam movie , which is a political satire and ‘ You’ve got mail ‘ starring Tom Hanks and Meg Ryan . 2 . How would you describe your life journey in a single word ? – Complicated . 2 . If you are given an option to name a star what would you name it ? – Compassion . Let the virtue shine down on humans forever . 2 . What is your favourite genre of writing ? – I love writing poetry , short stories and haikus . But fiction is my most favourite genre . 1 . Can love happen more than once ? Yes . I have seen people falling in a love a second time after brooding for years post break up . 2 . The reason you write ? – Because words keep tugging my heartstrings to let them out . 1 . Your favourite trilogy ? – The Matrix movie series . 2 . One thing you dont regret doing ? – Walking out of a shallow relationship a couple of years back even when the person threatened to tarnish my character . 1 . How old would you want to be if you had a choice ? – A 3 year old . I need all the leisures of being a naughty brat , sans deadlines , who would curiously look upon the little wonders of the world as if each were a miracle . 1 . Ankita Singhal who blogs at A Piece I wrote : An avid reader , her blog is enriched with literary masterpieces in the form of shortstories , poetry , book reviews and many more . 2 . Green Speck who blogs at Live Your Life : The wonder writer who happened to pen down 360 amazing posts in a matter of nine months ! A blogger friend who has always been of constant encouragement to me. Check out his blog for the splendid collection of Haikus, poems and stories . 3 . Saurabh Chawla who blogs at Saurabh’s Lounge : A budding writer whose blog deserves to be read more . Visit his space to nourish your time reading some gifted poetry . 4 . Prasanna Rao who blogs at Life Under Microscope : I got acquainted with her blog through BAT and was instantly drawn to her brilliantly penned short stories . Read her and you will agree too . 5 . Chhavi Vatwani who blogs at Sour Lemons And Tequila : Her poetic lines are magical . Her blog contains polished , well weaved verses which points to her versatility and briliant hold on language . 6 . Odizzey ‘s blog : Again, a fellow BAT blogger who is blessed with a poetic wand which is sure to take the reader to a wonder land of her creation . Truly mesmersing her words are ! 7 . Richi Baidwan who blogs at Richi Rich : Her words are lyrical and her stories have a freshness to its narration . Love them for the true protrayal of human emotions in all its rawness . 8 . Me who blogs at Memoirs Of Me : Dive into this blog to relish good literary content written in the form of stories and reviews . Me has always been a frequent visitor and an encouraging blogger friend 🙂 .The Salt and Pepper section is a unique section to look forward to ! 9 . Meenakshi Malhotra who blogs at Woman n Beyond : Already bestowed with many a recognition she already has stamped her prowess in the blogging field . Her brilliantly crafted haikus should never be missed ! 10 . 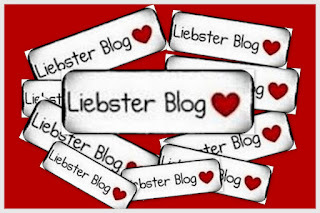 Reshma who blogs at Cerebral Babble : Her blog header is one of a kind . So is her blog . Check out her blog to explore well knit stories and haikus . Her cerebral babbles are delightful indeed ! 11 . A dreamy Gal who blogs at Journey Of Dreams : Her blog is the prettiest i have seen . Dont judge a book by its cover , they say . But here , you wouldnt falter even if you come to a hasty conclusion seeing her blog . The contents are impeccable in its richness too . Look out for her profound haikus and creative poetries . 1 . Your dream holiday destination ? 2 . Favourite movie , music band / musician , author ? 3 . Which do you prefer. scribbling on a piece of paper or typing onto a laptop? 5 . Would you like to own an apartment or a house . reason ? 6 . Favourite time of the day ? 7 . Do you have a best friend ? tell us about the wonderful qualities you like about him / her . 8 . Any television series / movie you would watch umpteen times over ? 9 . Where would you rather spend your retired life . In your ancestral place or in your current city ? 10 . What would your Bucket list comprise of ? 11 . Tell us about your current passions in life . Thank you for reading through such a long post . And congratulations to all the nominees ! Keep writing . Keep blogging 🙂 As the Indiblogger slogan goes – We blog, therefore we are ! Congratulations, Maliny. 9 awards and many more to come, you deserve all the adulation that comes your way. Keep up the good work. Thank you so much for the nomination. I'm both happy and humbled. And sleeping with earphones on is really not a good habit to stick to. Thanks a Lot Manily for choosing me, I am humbled… I have seen a lot of Liebster awards On display but never this beautifully. I'm a Piscean too and a typical one at that. I think if would have waited for few more days…you would certainly have a dozen nominations…!!! Keep up with the good work…!!! Congrats on your navaratna award! A sincere thank you for nominating me and the kind words of appreciation. It is a “I'm-on-cloud-nine” feeling seeing myself alongside the other stellar bloggers you have nominated.Thank you!! I no longer believe in horoscopes, but when I read Linda Goodman's take on Aries, I felt exactly how you feel. Like it's my own story! I keep reading it again n again to remind myself of what I am!! One more thing I found: lengthy LOTR keeping you from reading it, and once you have a week's time you'd drown yourself in its fantasy world? Same here, Maliny, same here! I'd rather drown myself in all the fantasy worlds: LOTR, HP, GOT, etc than do anything else! All the best for your results (and with the bachelor selection) 😉 !! Heya! Congratulations on the Liebster x 9! Wishing you many more to come! Wow!! You are a MBBS graduate; this was a surprise for me! I thought you must be a journalist like me…!! 3. The movie you’ve got mail ' starring Tom Hanks and Meg Ryan. Hey!! Maliny..Nine in a row. COngo!! Congo!! Congo! !.that is something exceptional..You truly deserve every bit of it..Your writings are really absorbing and words worth treasuring..
Award coming my way and that too from a prolific writer like you thrilled me to nerves..I am humbled by your gesture..Thanks a ton for such wonderful words .. I know I am really lazy in commenting and replying..but please forgive me for that..
my sister is of your sun sign..Loved knowing more about you..may all the things in your bucket list get ticked soon ..All the best..Keep writing..keep growing..
P.S i've started drafting the post for the Liebster.. It was a privilege reading about you. And I liked how you converted a bouquet into a fragrant flower. Matrix is my favourite too but the sequels were not up to the mark. And I hate pretenders and fake-people with all my heart. It's always a pleasure reading your blog, Maliny! Congratulations and well written once again! Congrats , party time ! A truly well deserved award, cheers! And thank you soooo much for presenting it to me…. will take it up soon. keep writing…and sorry for late comments.